Well, you won't be able to blame the Burnaby Lakers or Port Coquitlam Saints from resting on their laurels. The two clubs have struck another deal - and another one that could have a major impact on both teams this season. Port Coquitlam has acquired the Jr. A and Jr. B1 playing rights of Ryan Johannson and Dryden Valade, as well as the Jr. A playing rights of Justin Cloete. 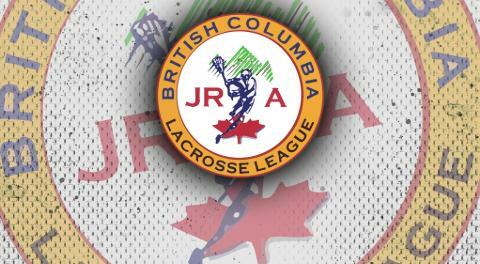 In exchange, Burnaby will receive the playing rights to Francis (Butch) LaRoue and Brandon Goff. Goff and LaRoue both played on the Saints Jr. B1 team last season; according to the BCJT1 site, LaRoue played in 17 games and four goals and 14 total points, while Goff had a goal and five points in five games. Goff was a homegrown Poco boy while LaRoue was drafted 15th overall in last year's BCJALL Entry Draft out of Semiahmoo. Dryden Valade had a breakout year with Burnaby's Jr. B1 club, where he was tied for the team lead in points with 19 goals and 31 points in 15 games. He also had a cup of coffee with Jr. A team, posting a goal-per-game average in three games. Like LaRoue, Johannson was a high draft pick, going No. 2 overall to the Lakers in the 2017 Draft. The former Port Moody Thunder prospect has had a bit of an uneven start to his junior career, but a move to the Saints could help revitalize it. Johannson had four goals and 10 points in 17 games with the Lakers last season, two of those tallies coming on the Power Play. Cloete spent last year with the Jr. B1 Maple Ridge Burrards, playing in 13 regular season games as a defender and transition player.